Closed when I walked past but I peered in and could see the bar. 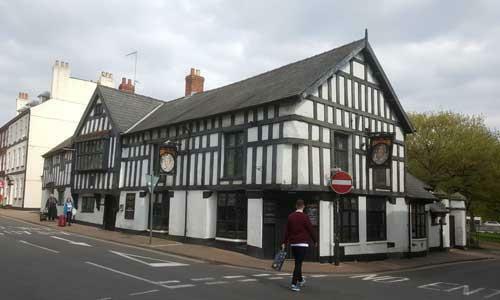 The pub is found in Monmouth, Gwent, NP25 3DL. A 16th century house in St James Street, said to be a haunt of Oliver Cromwell. Partly leather clad ceiling in the front bar. 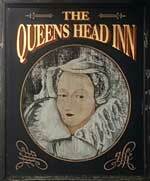 We have visited this pub once, seen 2 different beers and tried 0 of them.